It was a local rite of passage. When a girl turned 11 or 12 or 13, depending upon her “maturity,” her mother took her to the nearby lingerie store appropriately called We Fit for her first bra fitting. For most of us, the older girls had already filled us in on what to expect. I knew from my sister. But some learned about it, in a rather frightening display, from their peers. I will never forget that day before the start of Home Ec class, when Judy Cohen performed, for those girls who hadn’t yet had the experience, what it was like when the We Fit ladies took you into the fitting room. Judy hung a tape measure around her neck and waddled (for some reason all the We Fit ladies were bigger women) over to her “victim.” Judy, in her depiction, played both the fitter and the girl being fitted. Now honey, she said in a deep Baltimore accent, let’s take a look at you. Then, she looked at the girl’s breasts, took a handful of measurements, ordered the girl (arms up, stand still, turned around) and then called for another sales lady to bring her a couple of bras. She was sure to shout really loudly if the girl needed either a large cup size or a tiny one, for effect. Now, Judy said after putting on the bra, to see if you fit, you need to lean forward and pull your breasts up like this. This is the horror moment. Judy, as the fitter, demonstrates how to pull one’s breasts up to better fit into the bra. Then Judy starts pushing her breasts around to show the girls who have never had a fitting how the fitter works closely with the fittee. Horrifying depiction, but it was pretty close to the real thing. We liked to say that the fitter was feeling us up, at a time when most of us had no idea what that actually felt like. The point of telling this story? 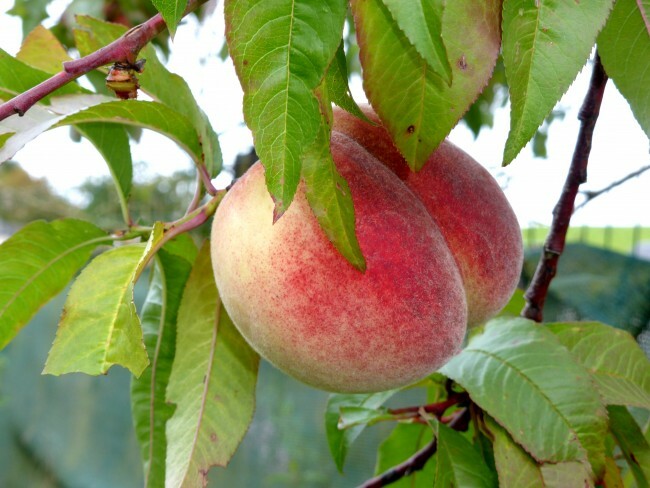 Today I visited a friend who recently became a consultant for a company called Peach. It is a lingerie company where trained consultants use an algorithm based on several different measurements to fit you into a bra that is both comfortable and the “perfect” fit for you. Her “pop-up shop” was on the third floor of her house where she had displayed several different types of bras, as well as other foundation garments and some robes and cardigans and sleepwear. She described to me how she does her fittings and how once she’s done it, she never has to do it again (unless your body size changes significantly.) Once you’re in the system, you can order additional bras online. I was not in the market for new bras, so I didn’t get fitted, but I did find the Peach way to be much less humiliating than the experience the girls used to have at We Fit. I also liked the idea that unlike at the high end department stores where they do bra fittings, this was in a home and much more private. At some point, I will likely go to her for a fitting. I’m fascinated by the number of new businesses popping up that allow people (usually women) to work out of their homes and according to their own schedules. This seems to me to be ideal for women like me who have done the corporate thing and the childcare thing and would like to take on something new now that her kids are off to college. I wonder what other women my age think about taking on a consultant job like those at Peach. Would you be interested in something like this?